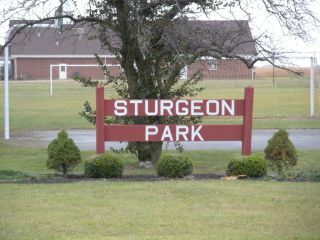 Sturgeon Park is located on the west side of the village of North Hampton. Park hours are dawn to dusk. Availability is on a first come first served basis or you can reserve the park for $40. Donations for use of the park can be made to the village. Facilities at the park includes shelter house, basketball court and restrooms. Users of the park are responsible for all clean up. To make reservations, contact Linda Steggemann at (937) 964-0233.